This Guide will help you map out and design your own kitchen. 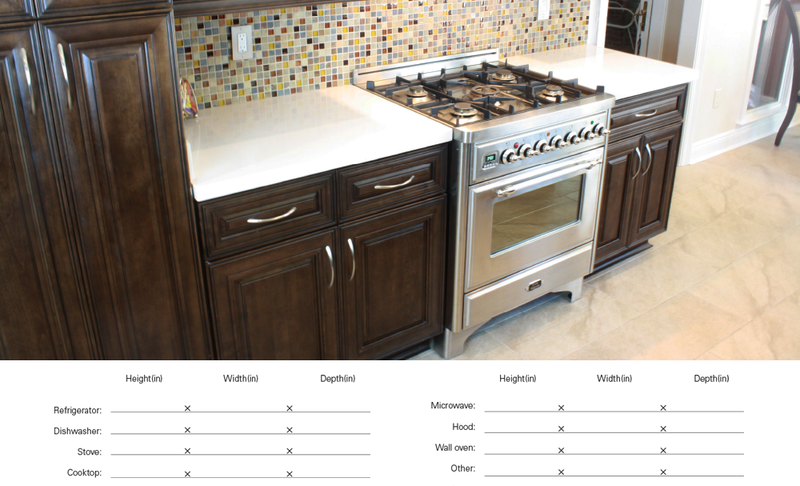 Print and fil out the form at the bottom for a free estimate on your new kitchen design. 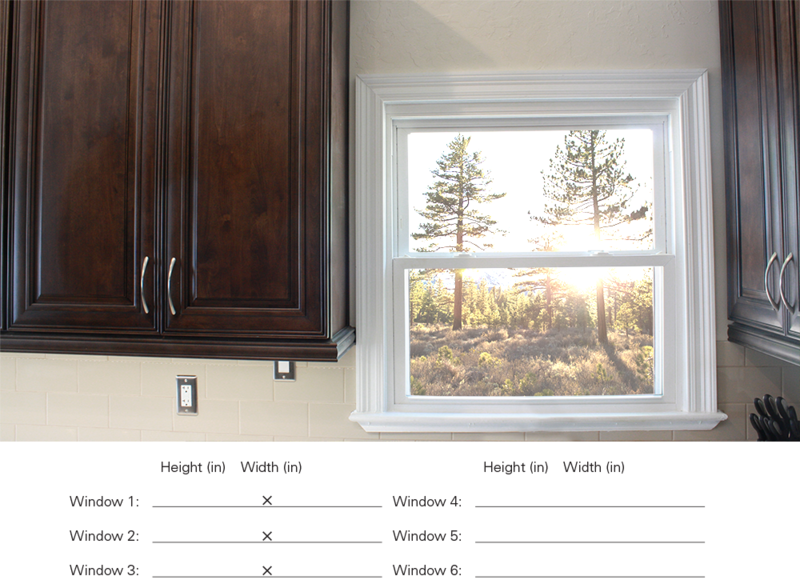 Page one is measuring your kitchen's floor layout. Below is an example of a kitchen already measured without the grid lines. In this step you are making a map of your kitchen following the key to the right of the image. All measurements should be in inches. This step is as simple as it sounds. 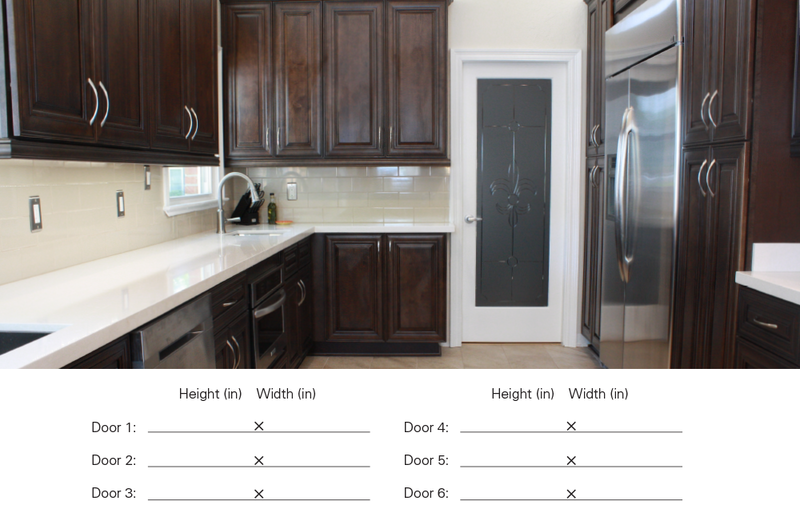 Just measure the height and width of the doors in your kitchen. Keep in mind to include the trim of the door in the measurments. Same as above only measureing windows instead of doors. Again remember to include the trim when measuring. In many kitchens the cieling is uneven and can be different heights from one end to the other. When measureing your record the lowest point of your kitchen's ceiling. If you have soffits in your kitchen and wish to keep them, make sure to measure the their height and depth and to take note of them in the floor plan. 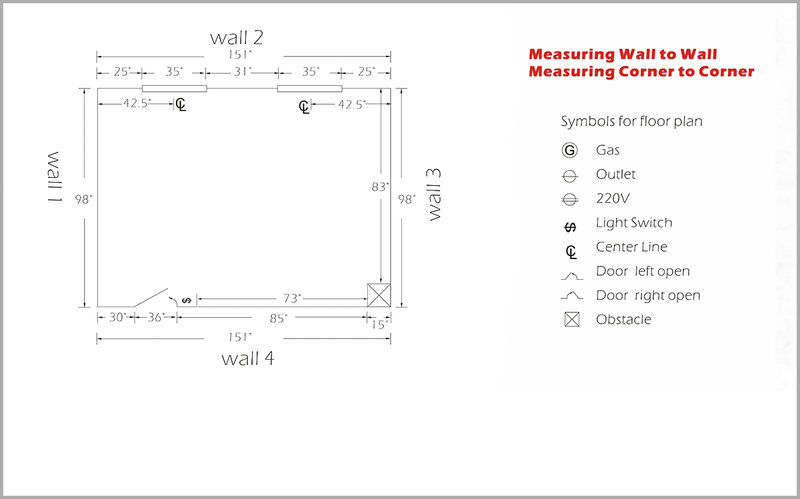 Various appliances should be taken into account when measuring your kitchen. This allows us to build a kitchen around your appliences and provide a layout that accommodates them.